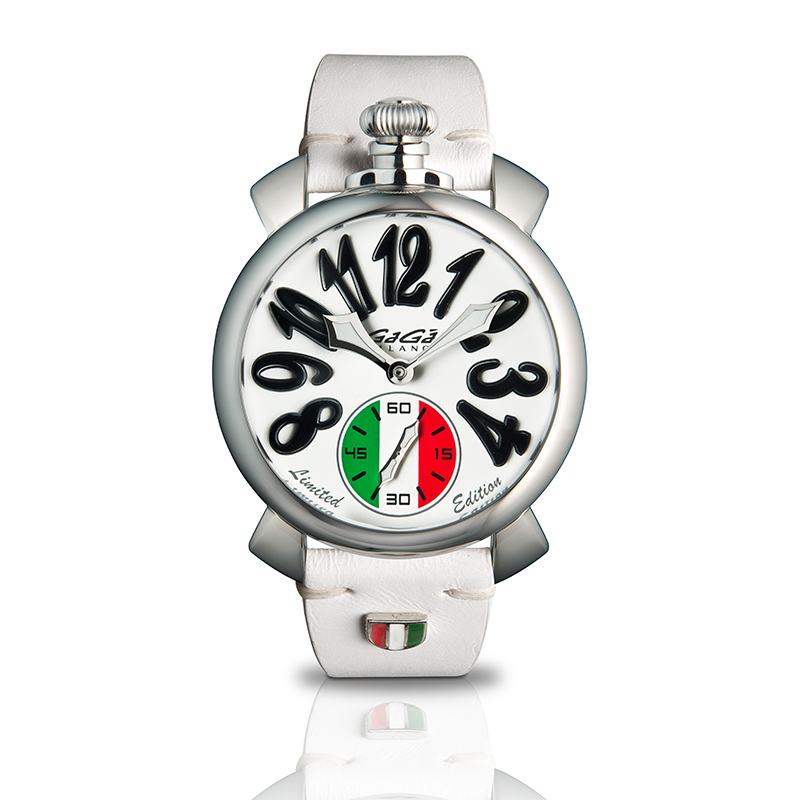 The Manuale 48MM Special Edition is a new model altogether: the different font for the numbers, and the over-dimensioned seconds hand give a new look to the dial. 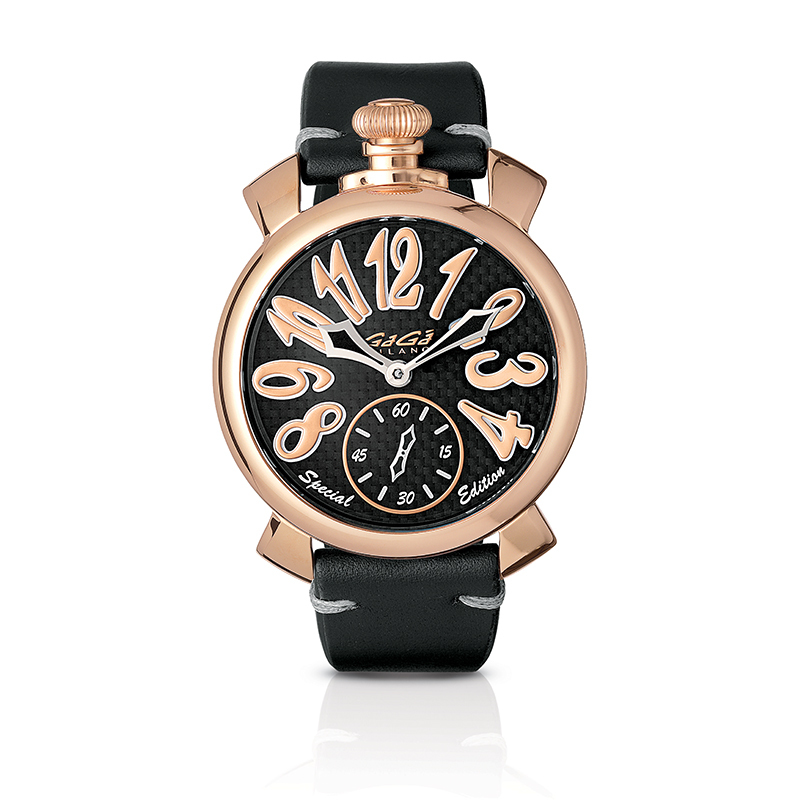 Numerous are the versions proposed for the case, pink gold or yellow gold plated, in steel or black pvd and embellished by carbon or Kevlar bezels, carbon or sunray silver dials. 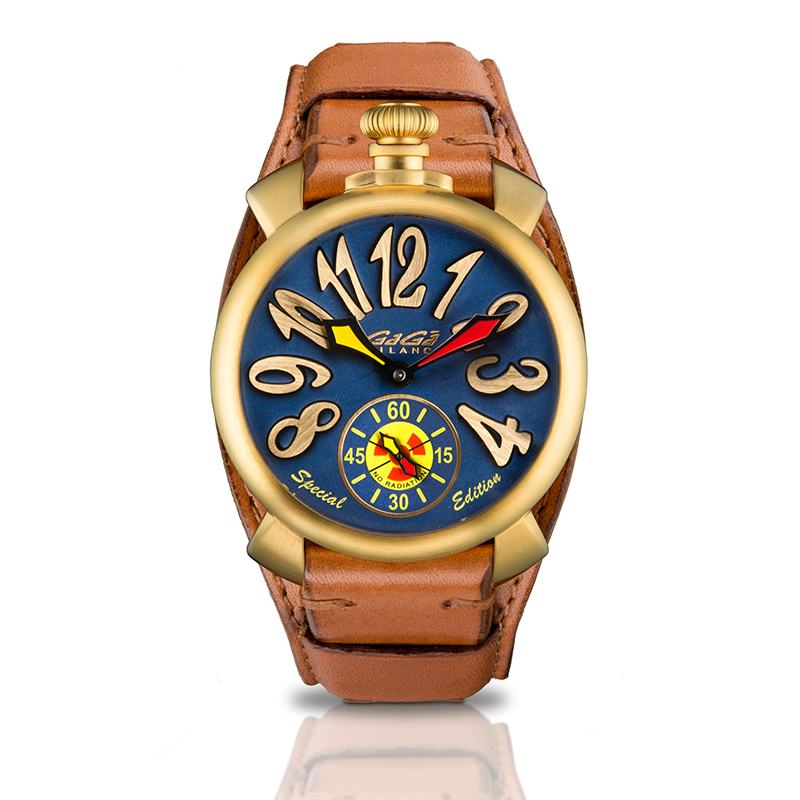 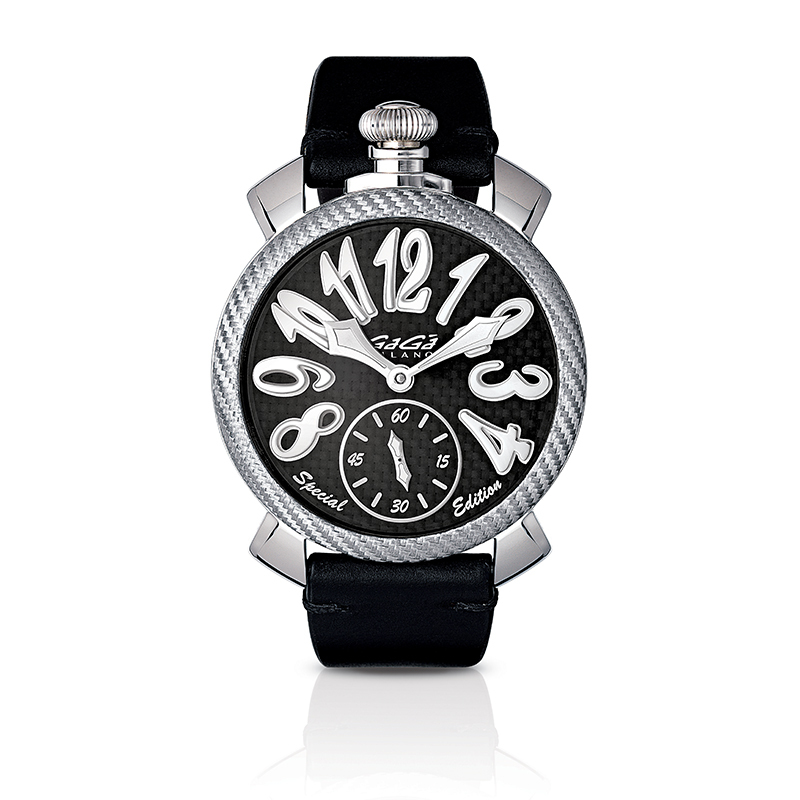 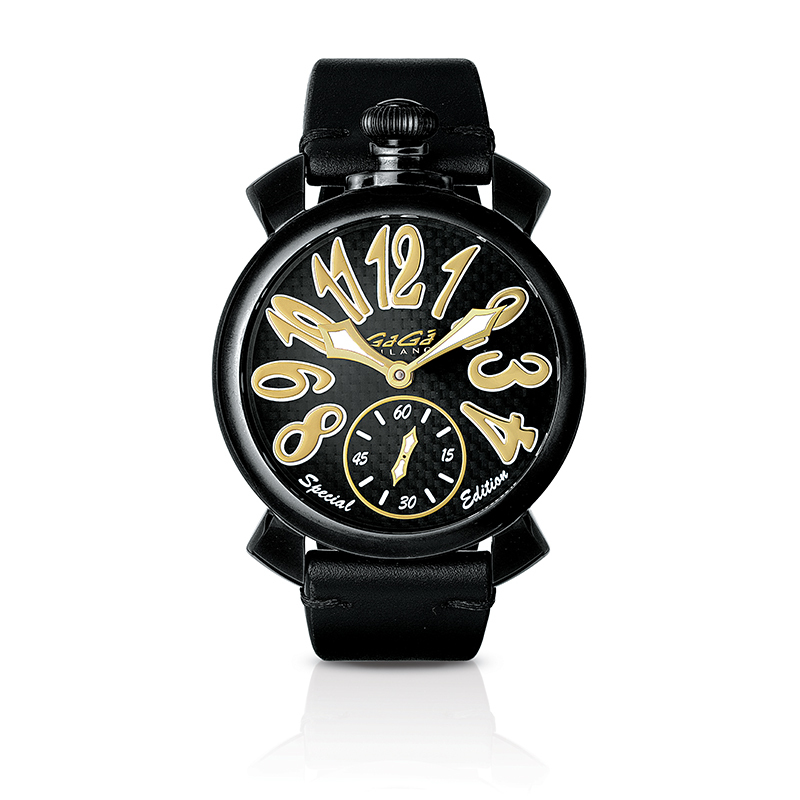 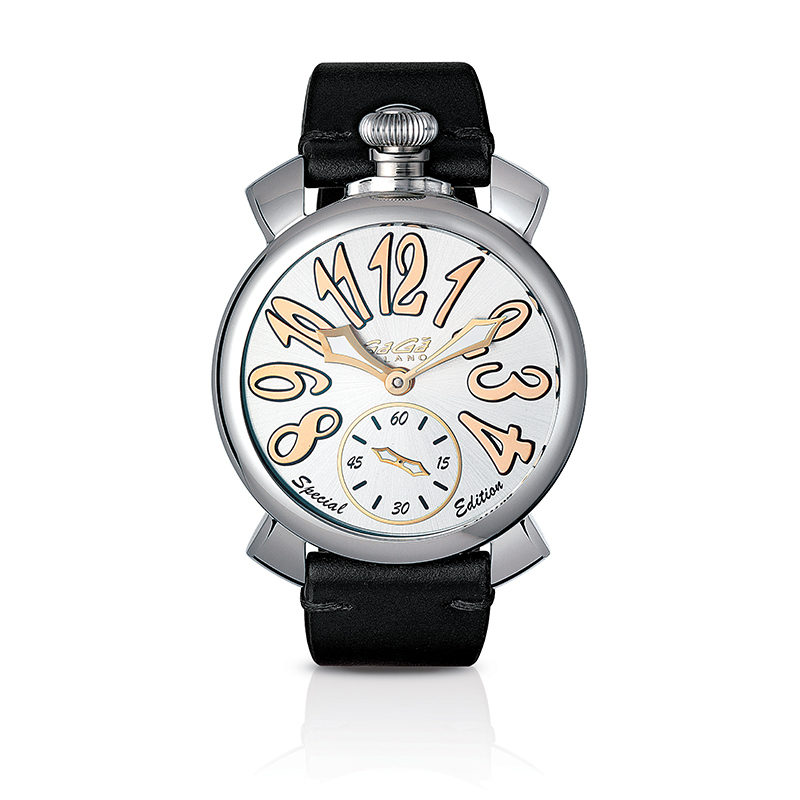 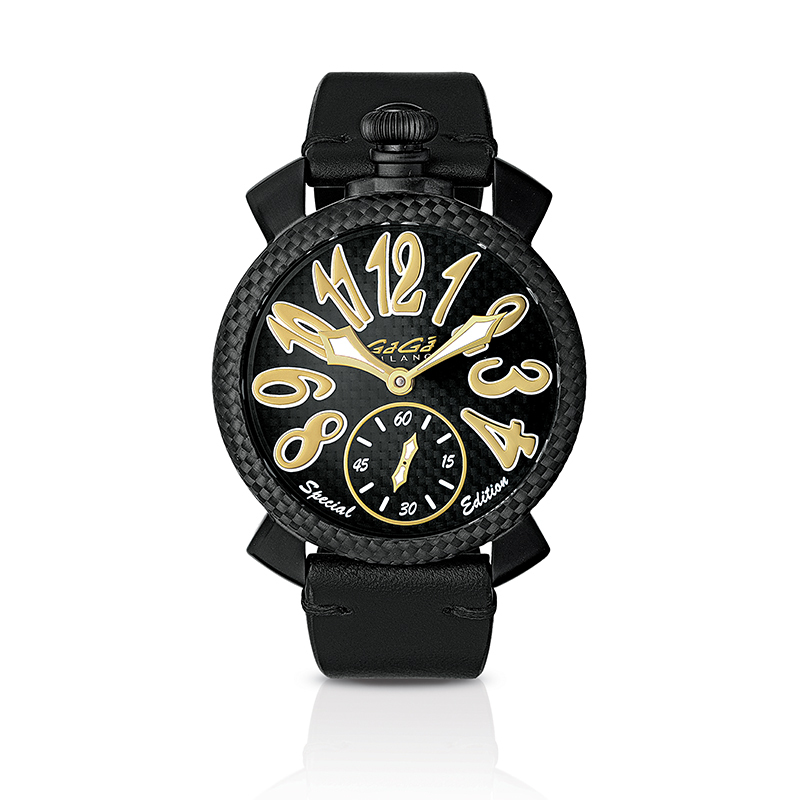 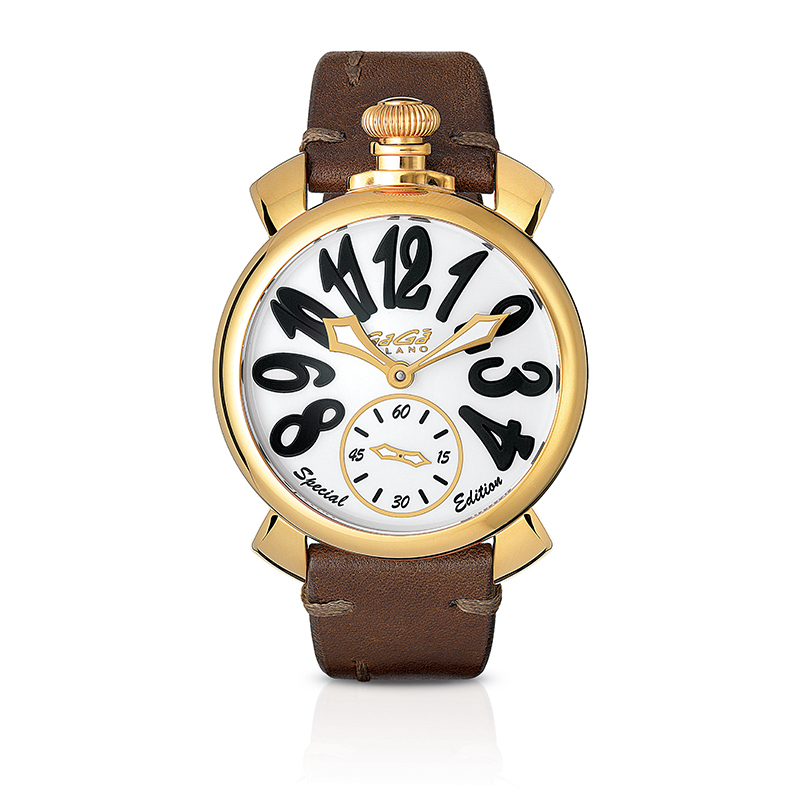 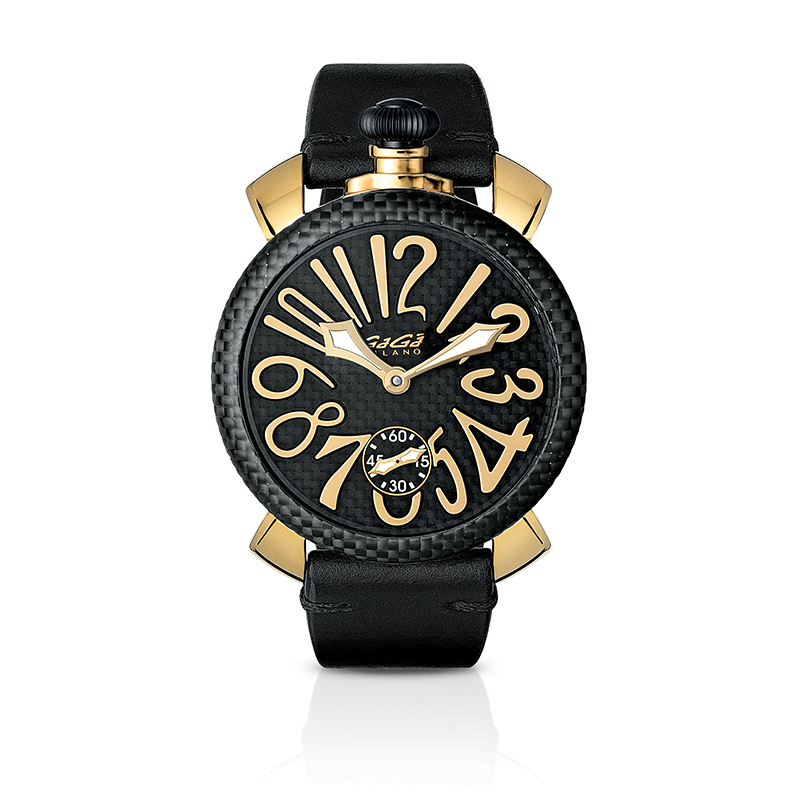 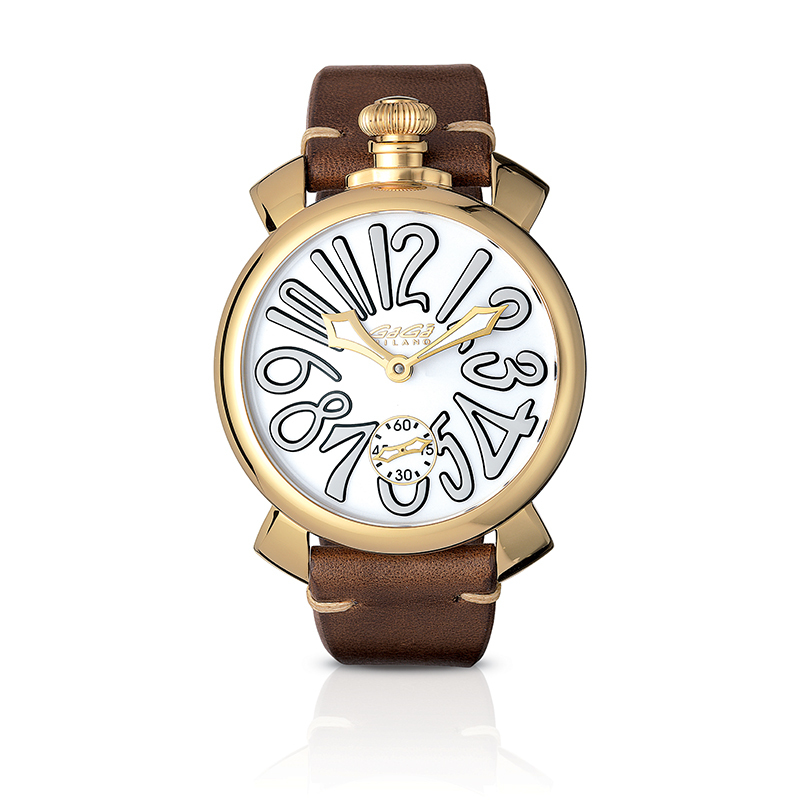 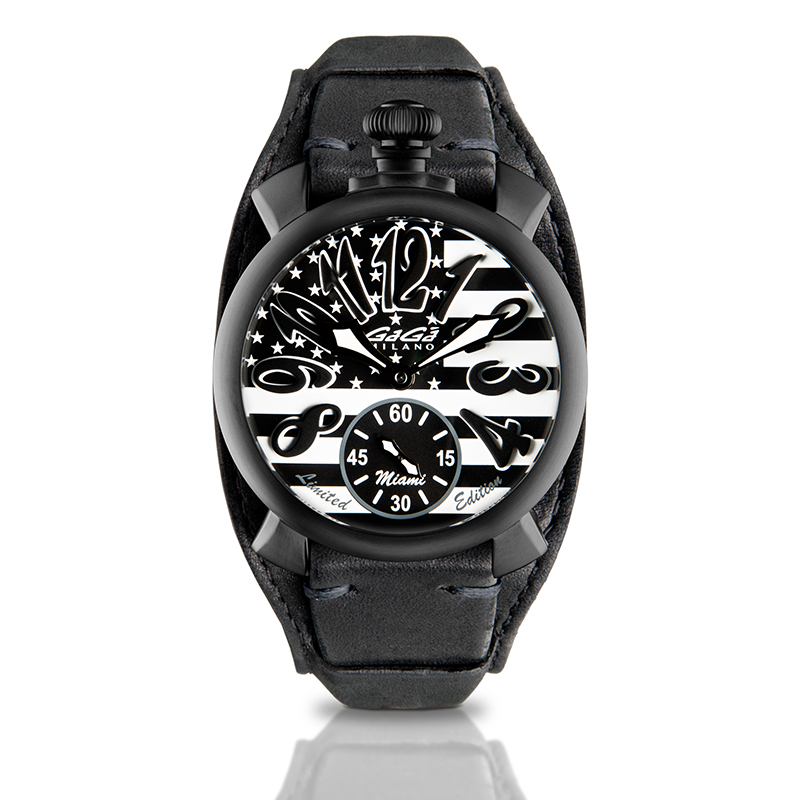 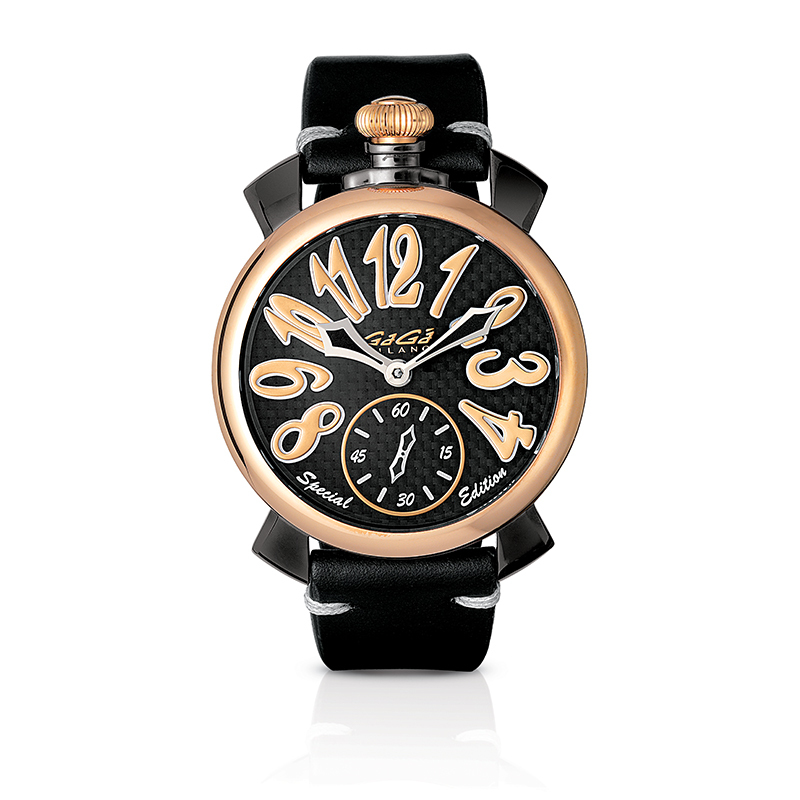 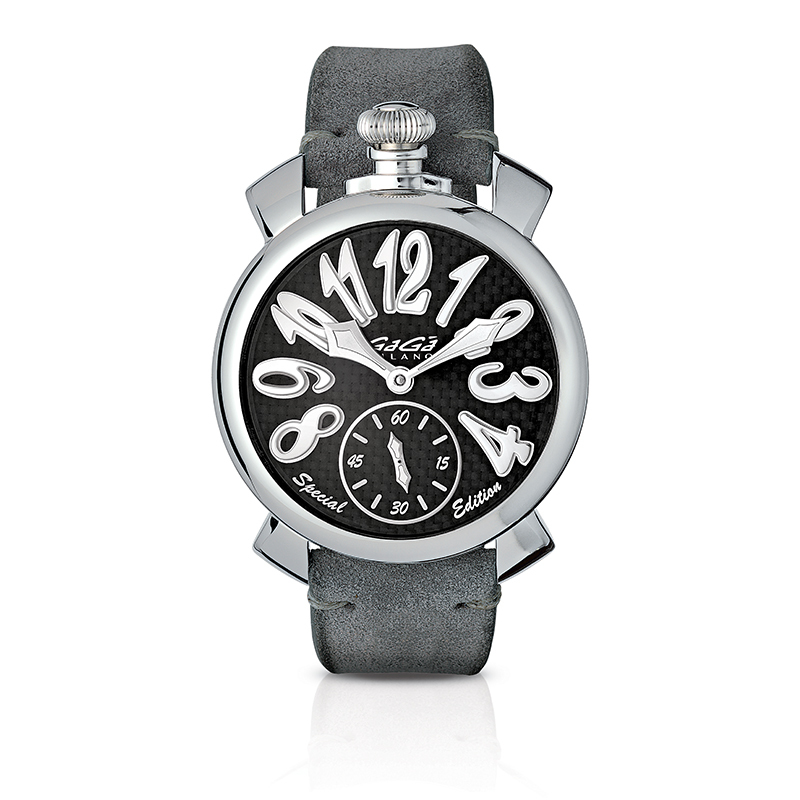 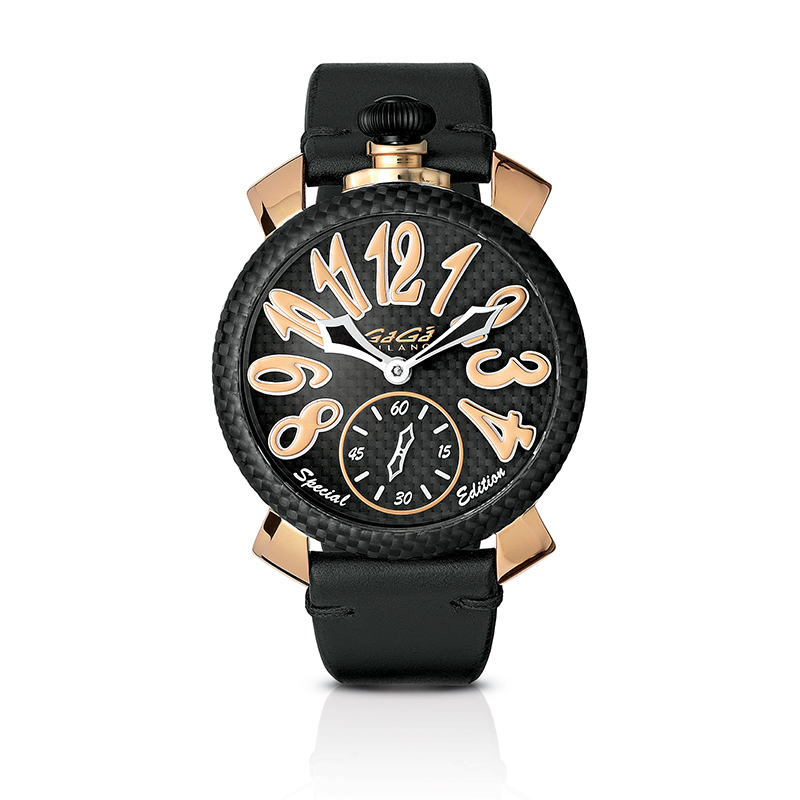 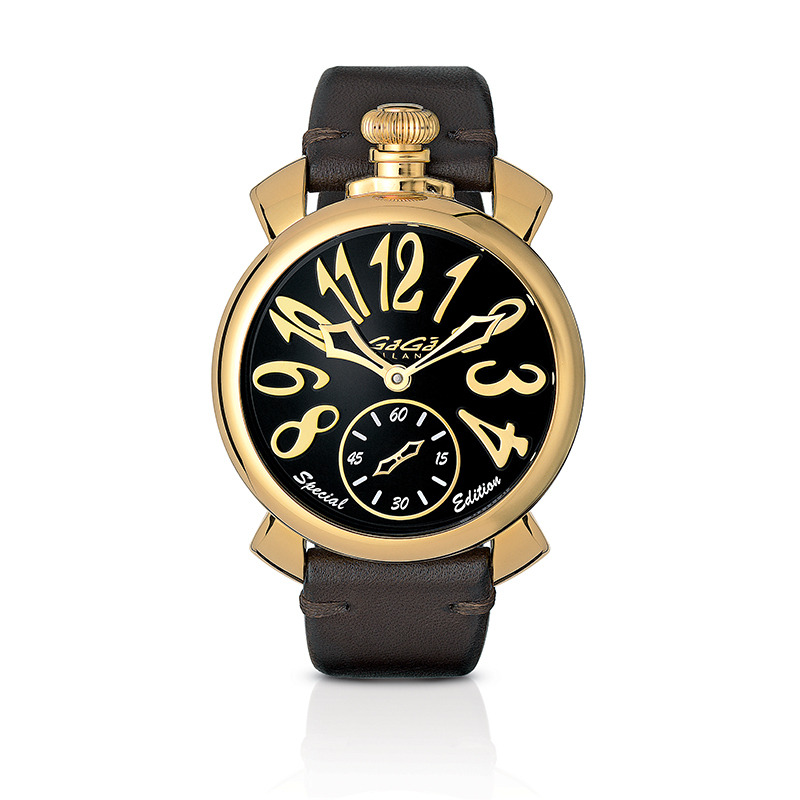 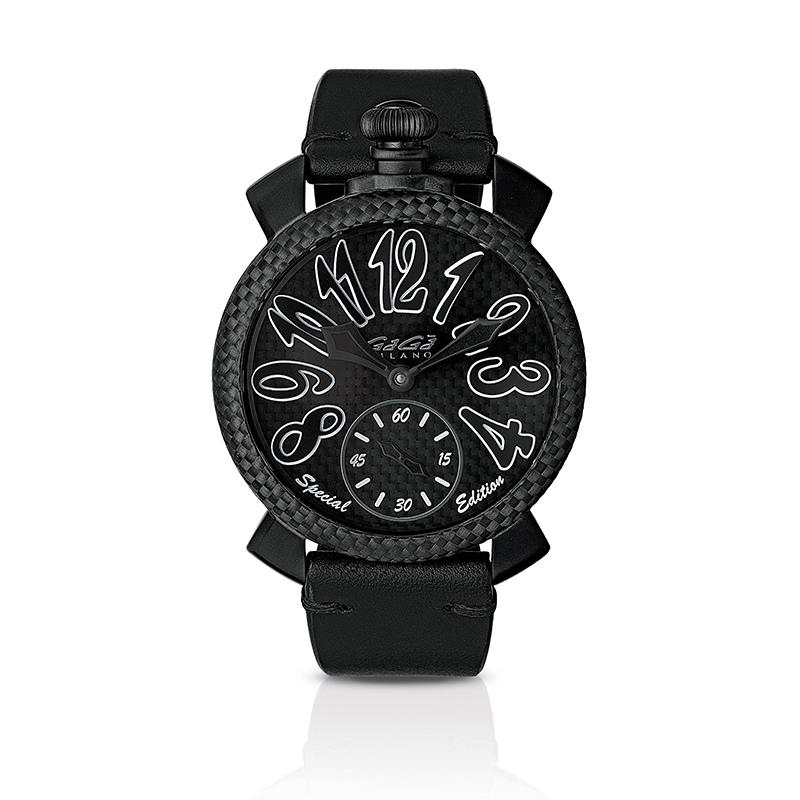 For this collection as well, the strap is in Italian handmade leather.